Socks are the only styling trick I am planning to work on this Winter. Why? To keep my feet warm; I’ve learned the hard way that one cannot run around in sub-temperatures without toasty warm feet gloves. (The hard way being frostbite, after dancing too many hours bare-footed in my favourite Chelsea boots. And actually fainting from hypothermia before a fashion show during NYFW. No joke. No need to laugh, I am an embarrassment to myself and I know it.). 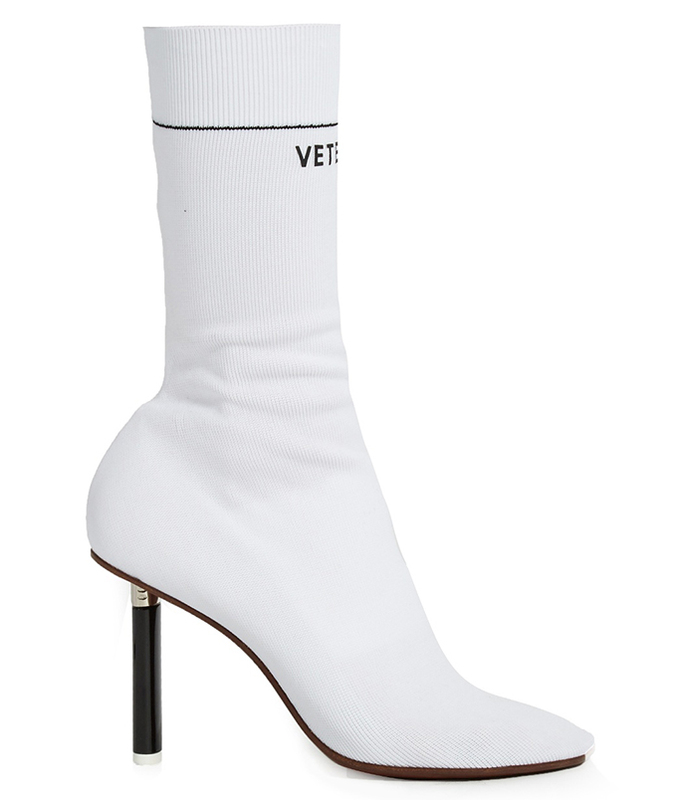 But while we’re on the subject of extravagant hosiery, why not give Vêtement‘s inside-out boot a whirl. Let your ankles do all the talking with this unconventional pair of nylon heels, that are as rebellious as they are functional. Tried and tested, you’ll be happy to hear, without any incidents involving fashion blisters and/or frozen limbs. Knock your socks off!